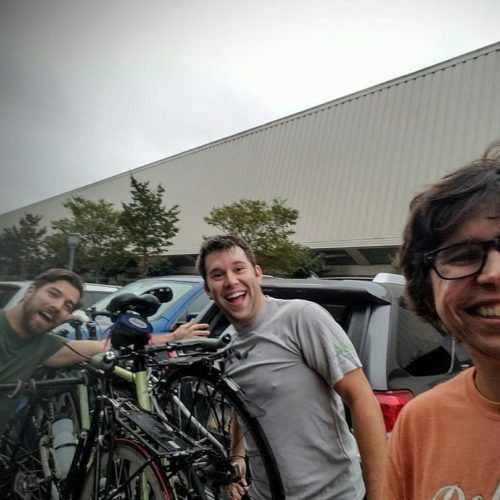 As a volunteer, you’ll be directly involved in helping our region grow into a cycling town. 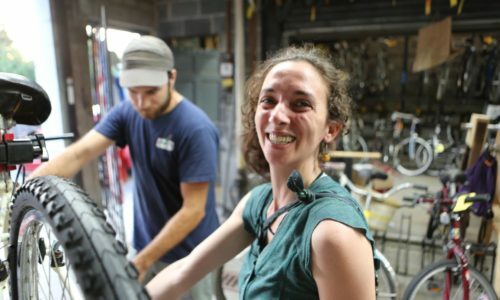 You’ll help us get more people out of their cars and onto bikes. No experience is necessary. 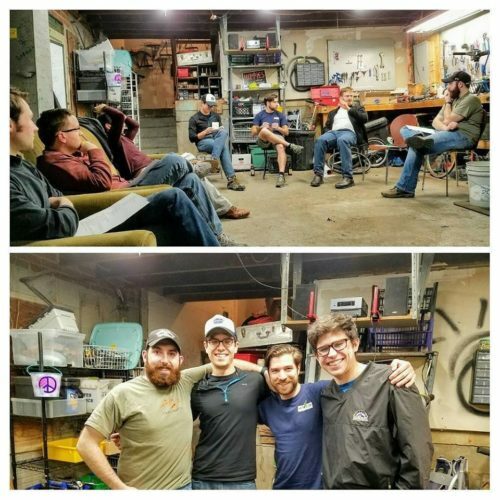 We train all of our volunteers and will help get you involved in any aspects of the coop that you maybe interested in. You’ll learn valuable skills that you can then pass along to your friends, family, neighbors, and coworkers. 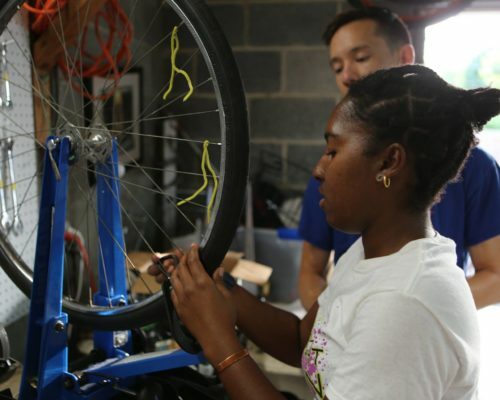 In adhering with our mission and vision, we’d like to ensure all volunteers have a basic level of bicycle maintenance training before we get you further involved in mission in other ways other then processing donated bicycles. 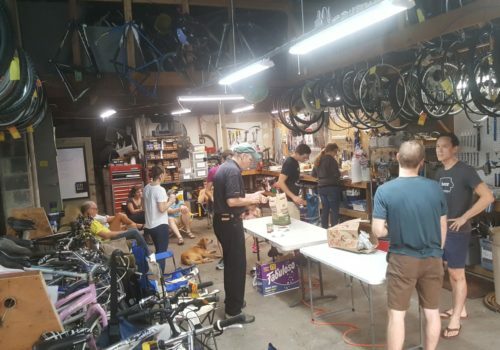 Volunteering with us can be beneficial in growing important skills including team cooperation, customer service, and maintaining clean, presentable, and safe spaces. We have lots of unique projects and open volunteer roles which require no experience. We execute and report progress against our mission using a long term strategic plan. Fulfilling a role will allow for individual recognition of your impact when applying to new jobs. For a list of additional open roles, please see our additional volunteer opportunities page. Vélocity's Board of Directors and Volunteer Coordinator are always happy to write reference letters. 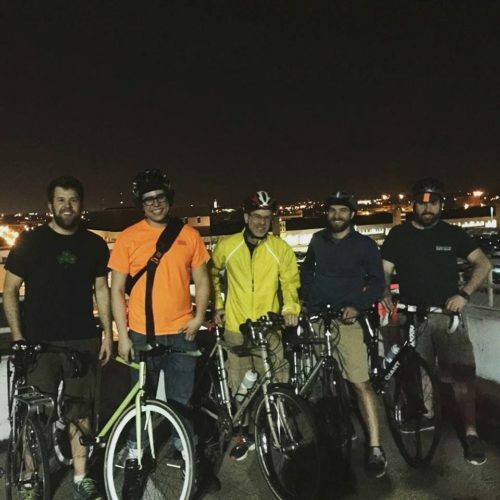 Vélocity is a great place if you're new in town, new to biking, or just want to make some new friends. We even have a Safe Space Policy. 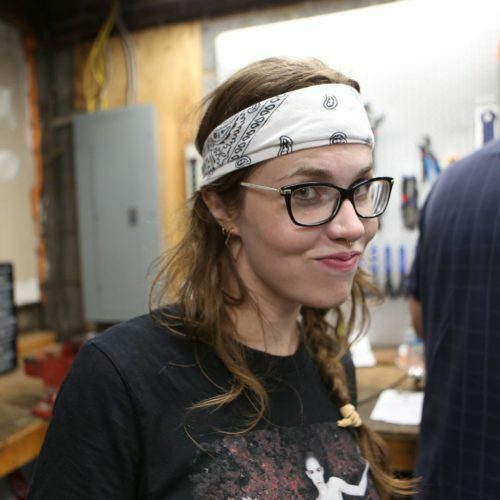 We're a tight knit volunteer organization and always make sure to spend time through bonding and celebrating our accomplishments whether that means through weekend brunch and coffee rides, rides to go thrift shopping at Unique, 1 day downhill and cross country mountain biking trips, hosting BBQs, holiday and housewarming parties, and meeting up at local festivals or concerts. 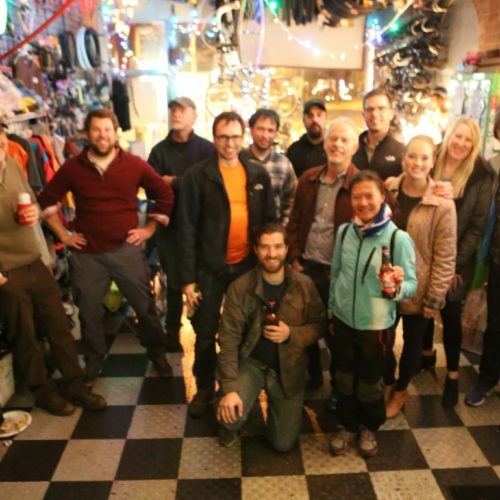 We've also been known for weekend mountain biking trips and trips to our annual international and regional Bicycle Cooperative conferences where we participate in workshops to share information and also to celebrate all things bicycle cooperative. 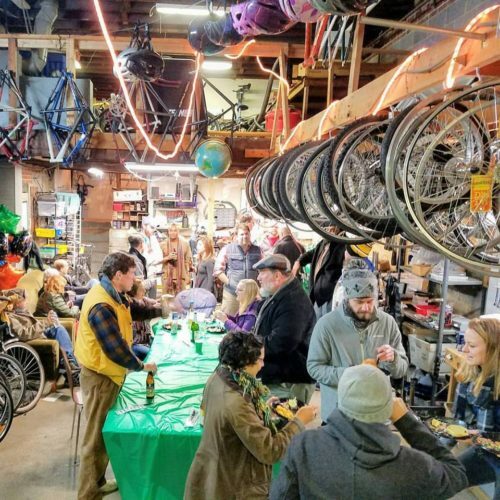 They're super fun and you'll have an opportunity to meet some of the most fascinating people from of all different backgrounds from all over the world and learn about each others passion behind bicycle cooperatives. 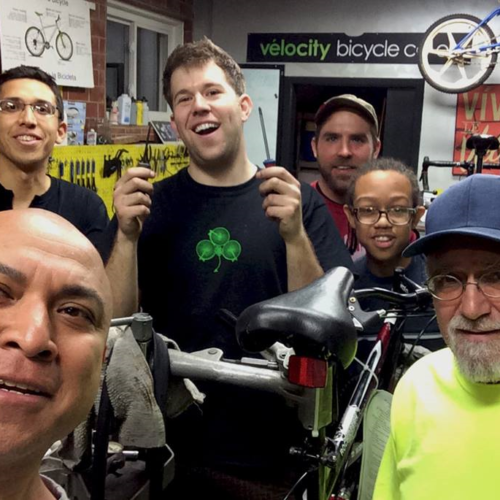 Individuals 18 year or older can volunteer with Velocity on their own. Individuals between the ages of 16 and 17 need their parent or guardian present during the first day of volunteering. Individuals below 16 years old, will be reviewed on a case by case basis on whether we have the staff and volunteers to support them. Volunteers are required to arrange transportation to/from volunteering events at the times listed for the event. 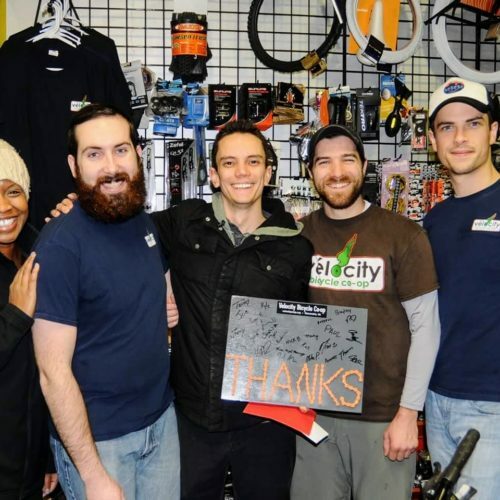 Free Vélocity Volunteer T-shirt and select volunteer merchandise. To get involved as a volunteer, please fill out the form below and we'll contact you shortly. Alternatively, you may also view our upcoming volunteer opportunities on our websites volunteer calendar and meetup site.